What took so long? Did the maps get lost along the way? 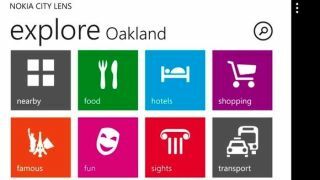 Nokia announced it's spreading the app love by making its trio of map and navigation apps available across all Windows Phone 8 devices. Previously only available on Nokia's own Windows Phones, all users can now download the Here Maps, Here Drive Beta, and Here Transit apps. The three free apps are integrated together to offer users maps, turn-by-turn directions, and public transportation maps, both online and when disconnected from a network. Offline maps are available for 94 countries, along with interior maps for select locations like airports, stadiums, and malls in over more than countries. Curiously, despite Nokia's commitment to Windows Phone last year, the company launched its trio of Here Maps apps as a single download on iOS. The iOS arrival conveniently came as Apple's own maps app suffered a rocky start, though it was quickly overshadowed by the launch of Google Maps not long afterward. While there is still no official Google Maps app for Windows Phone to compete with Nokia's offering, last month the search giant revealed that it will at least optimize the mobile Google Maps site to run in the Internet Explorer mobile browser. Users looking for a new navigation option on Windows Phone 8 can download the Here Maps, Here Drive Beta, and Here Transit apps from the Windows Store starting today. They are available in the U.S. and U.K. along with Canada, France, Germany, Italy, Mexico, and Spain.